Konami handling romantic comedy game adaption. 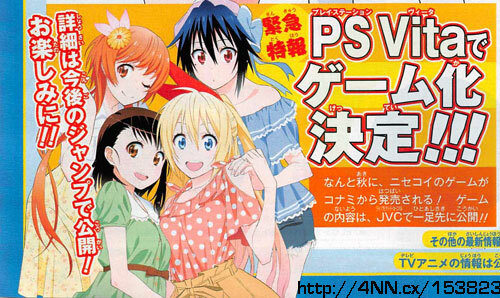 Konami is making a PS Vita game based off the popular romantic comedy anime and manga series Nisekoi, this week’s issue of Jump reveals. Specifics were not announced, but more information is expected in future issues of the magazine.